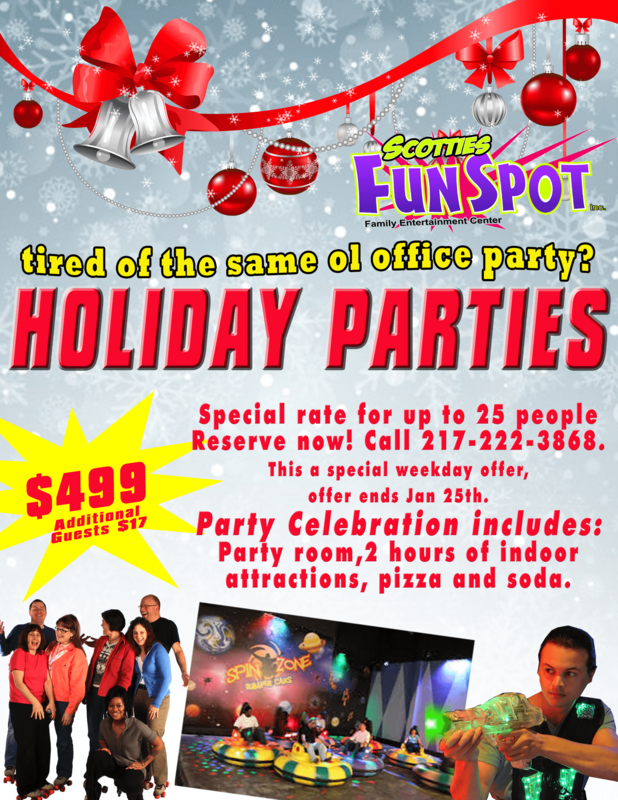 Are you in charge of planning the Holiday Office Party? Well we have the solution for you. Available weekdays, you pick the date and we do the rest. 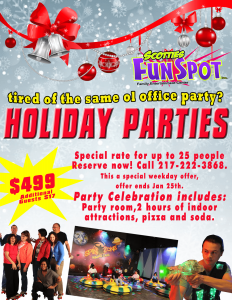 2 Hours of Unlimited Indoor Attractions, 1 Hour Pizza Buffet and soda. (Adult beverages are available.